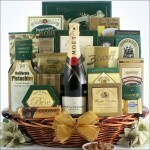 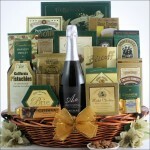 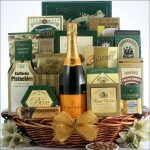 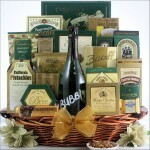 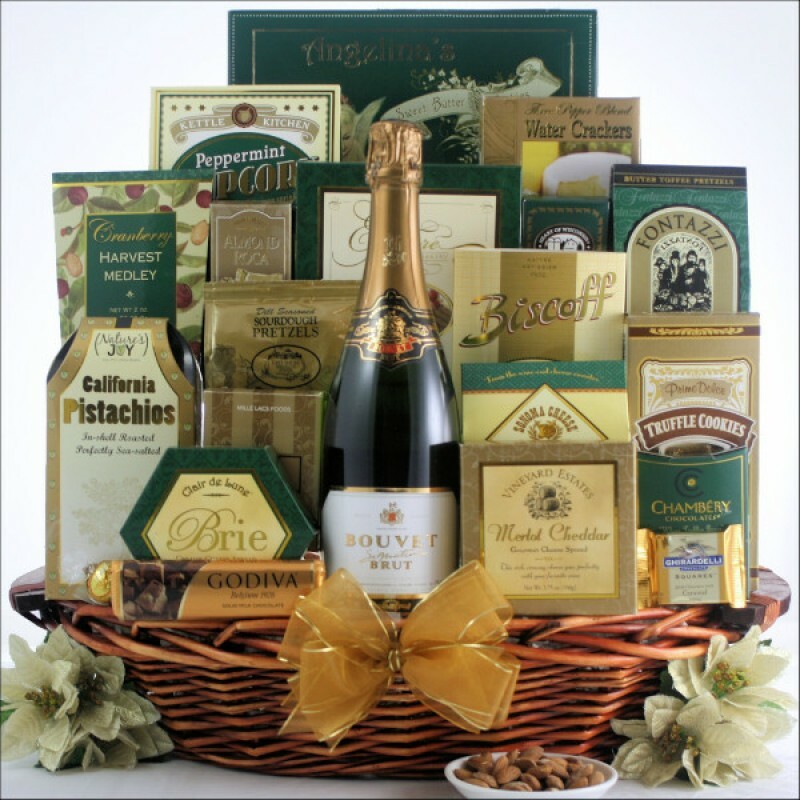 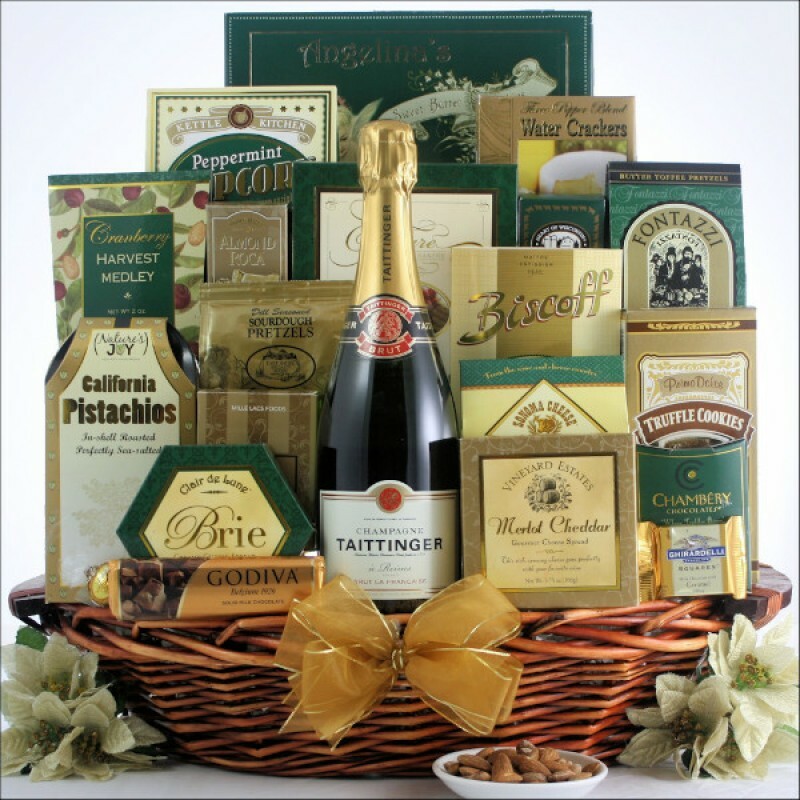 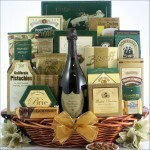 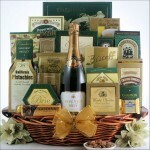 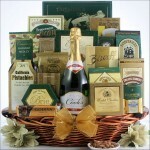 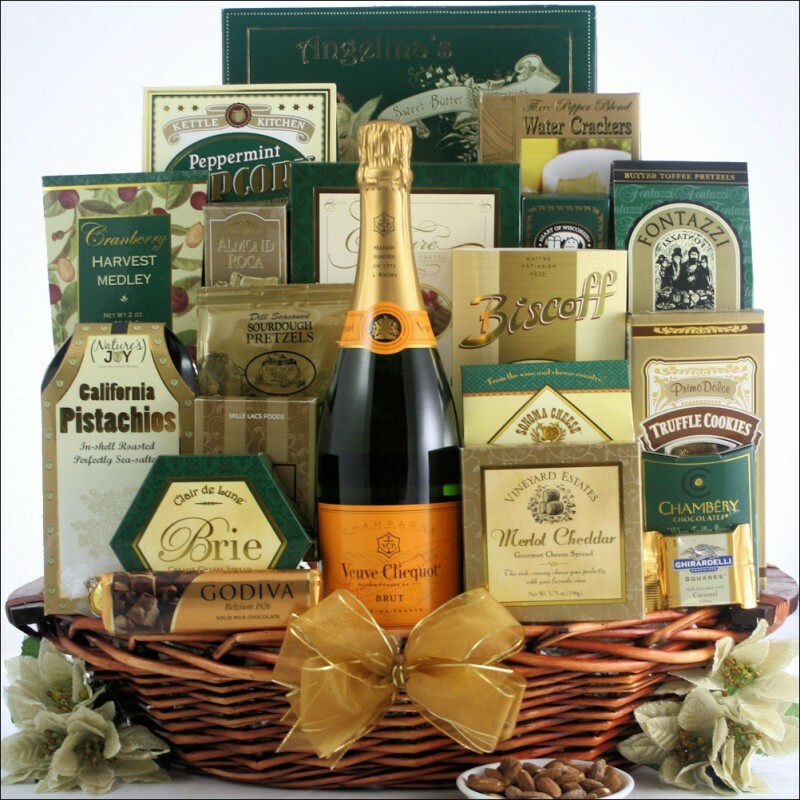 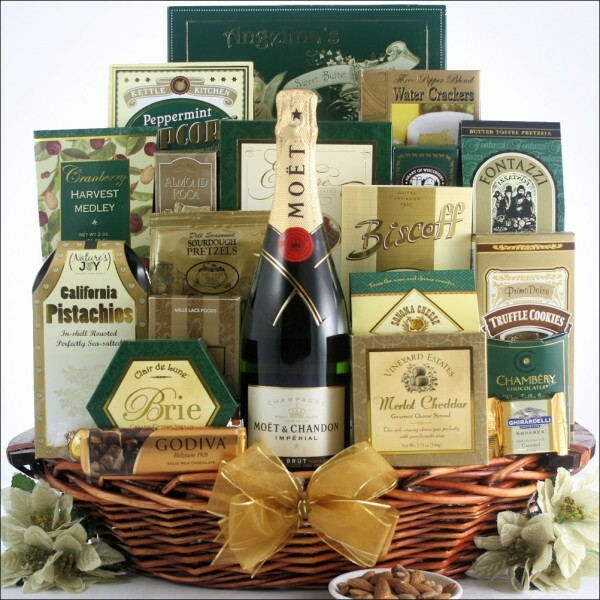 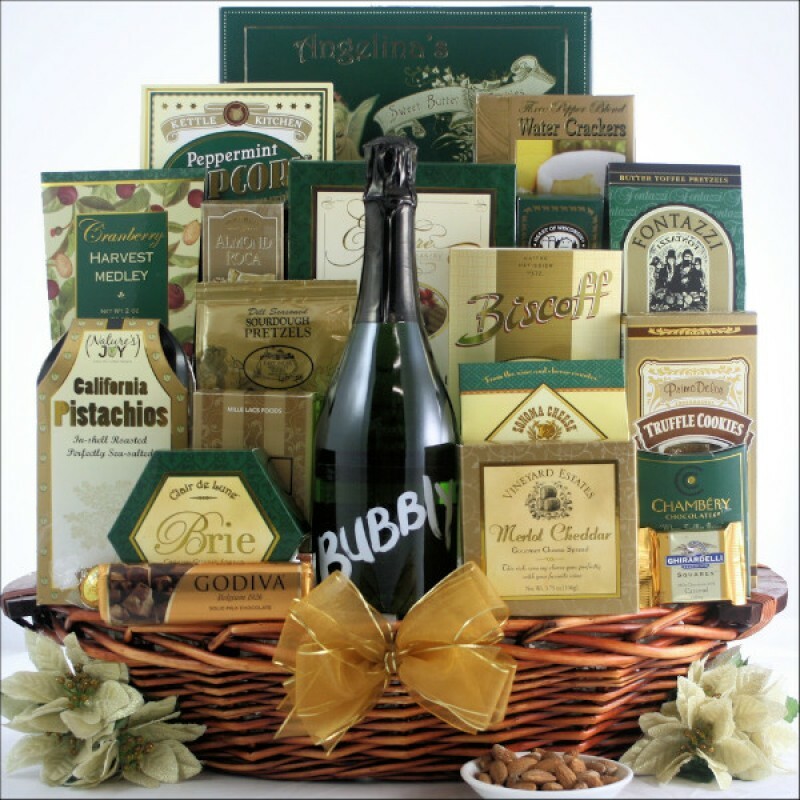 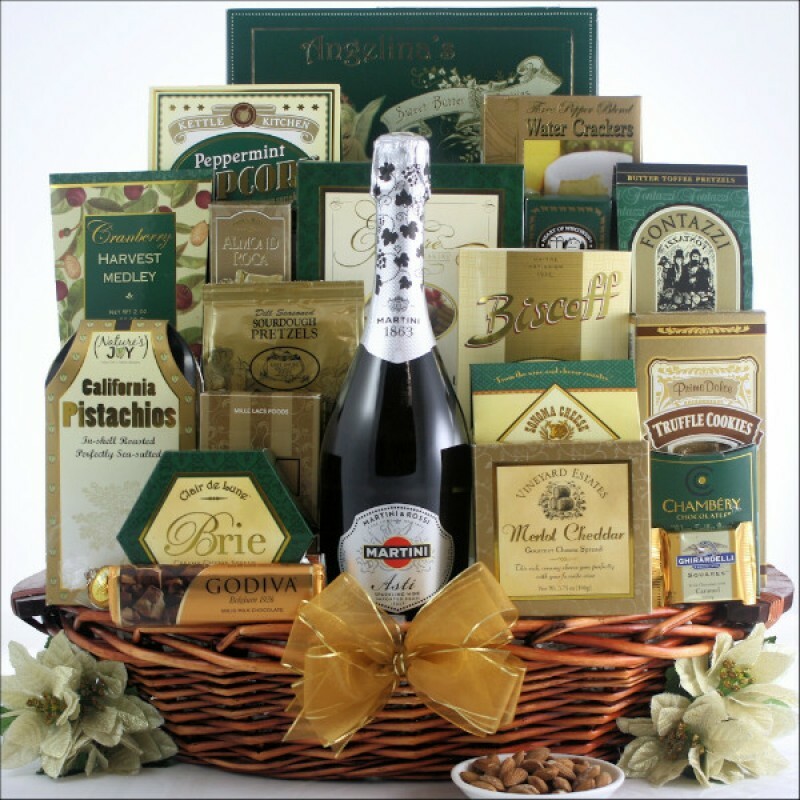 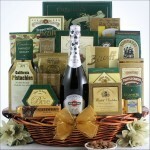 Send them a basket that will leave a lasting impression with 'The Gourmet Sophisticate' Gift Basket. 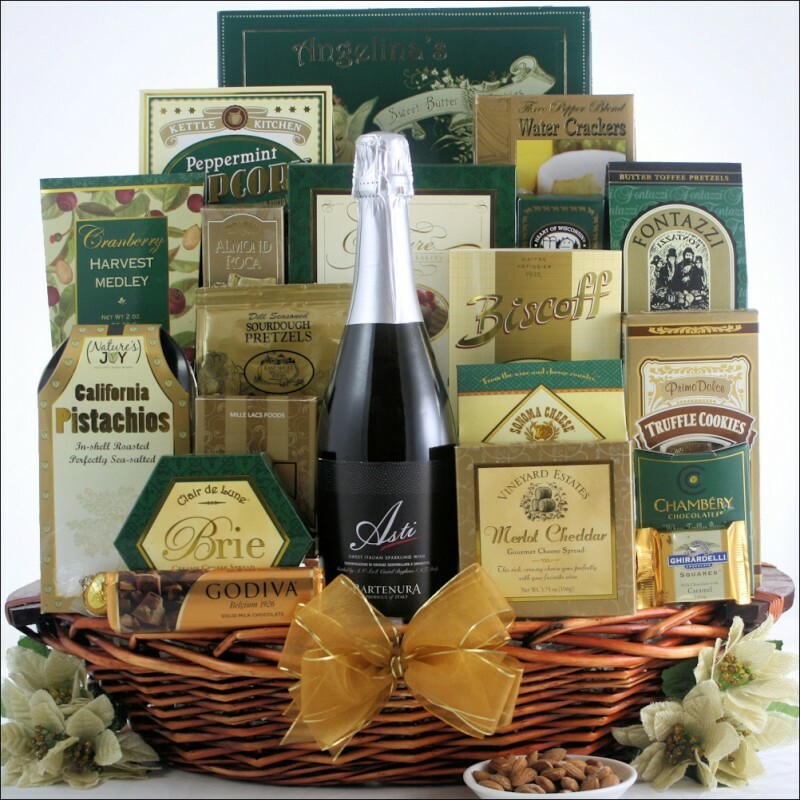 Filled with a great variety of sweet and savory gourmet foods they will not be able to wait to dive right in to this marvelous gift. 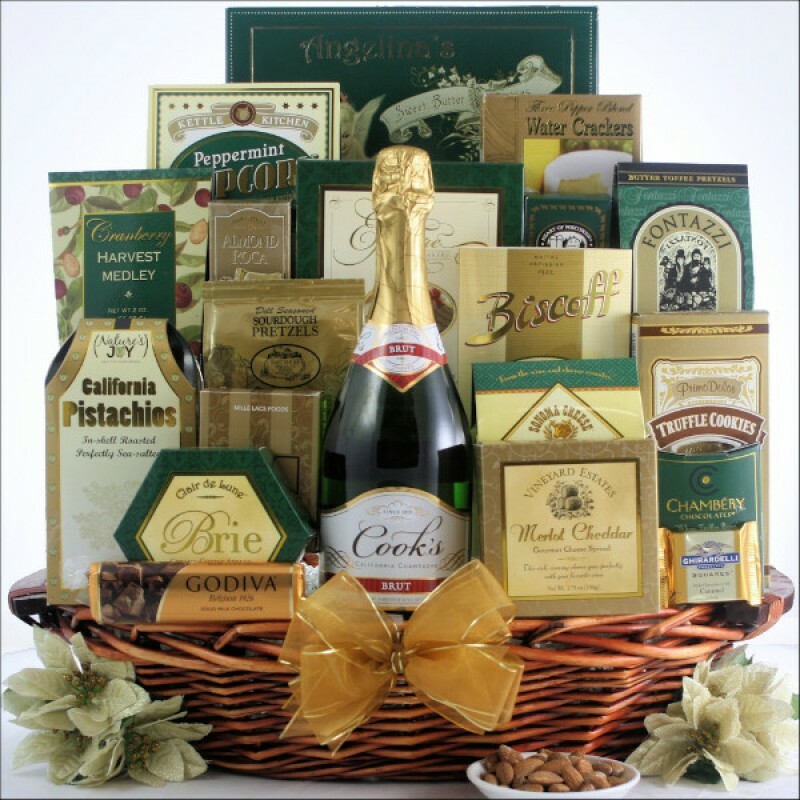 We have included a wide assortment of cheeses, crackers, chocolates, cookies and more. 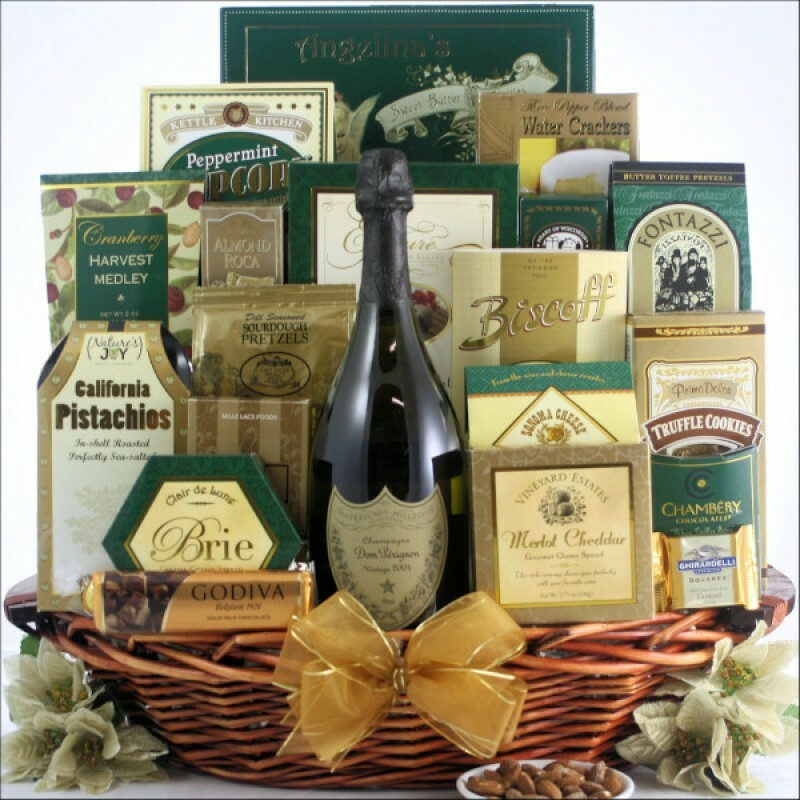 Features Clair de Lune Brie Creamy Cheese Spread, Portlock Smoked Salmon, Cranberry Harvest Medley, Godiva Milk Chocolate Tablet Bar, Angelina's Sweet Butter Cookies, and more. 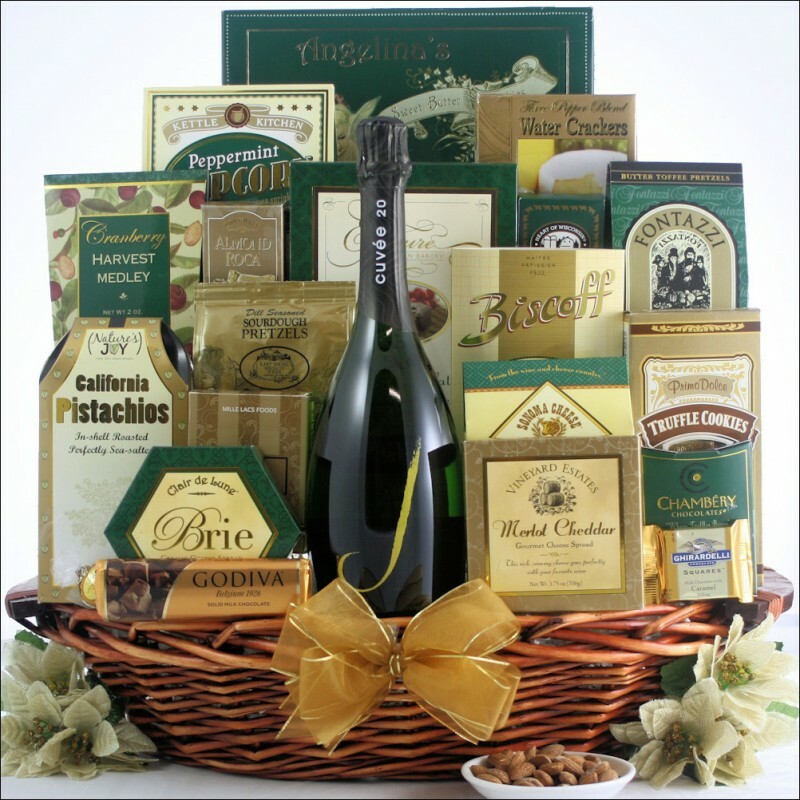 Add an outstanding bottle of Bouvet Signature Brut French Sparkling Wine, and make it the perfect choice for any special occasion. 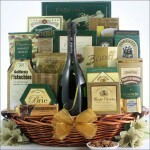 ...in an Oval Dark Stained Gift Basket with Side Handles.